Blood Sugars began in January 2015, as a collaboration between Drama for Life (DfL) and the Health Communication Research Unit (HCRU), both at the University of the Witwatersrand, Johannesburg; and the diabetes/endocrine clinic at Chris Hani Baragwanath Academic Hospital (CHBAH) in Soweto. 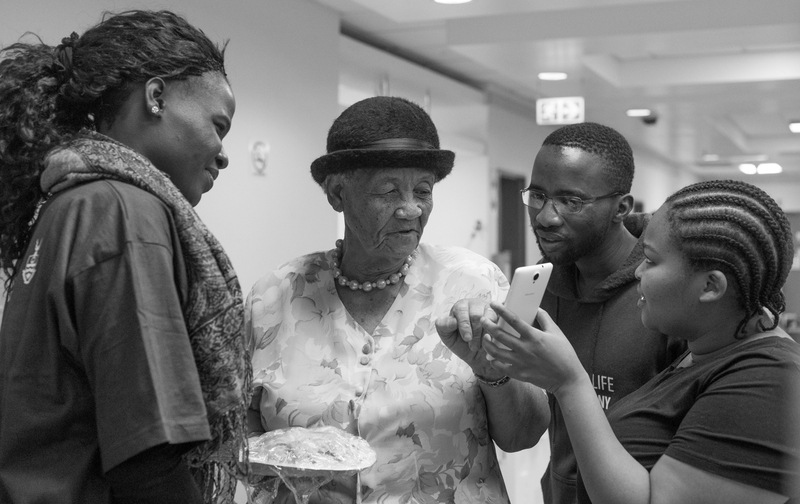 Our aim is to improve our understanding of patient and clinician experiences of types 1 and 2 diabetes – particularly in the context of urban South Africa; as well as to improve communication between patients, clinicians and researchers, helping to create a more detailed picture of the condition and how it might be managed more effectively. 3. A film documenting the process and outcomes of the collaboration. At the time of writing (November 2016) we are halfway through the programme, and at the point of launching the performance this November with two shows at CHBAH. The workshops were preceded by a lengthy period of research and development(R&D) (including interviews, observation and focus groups), and have now been running for some months at CHBAH. 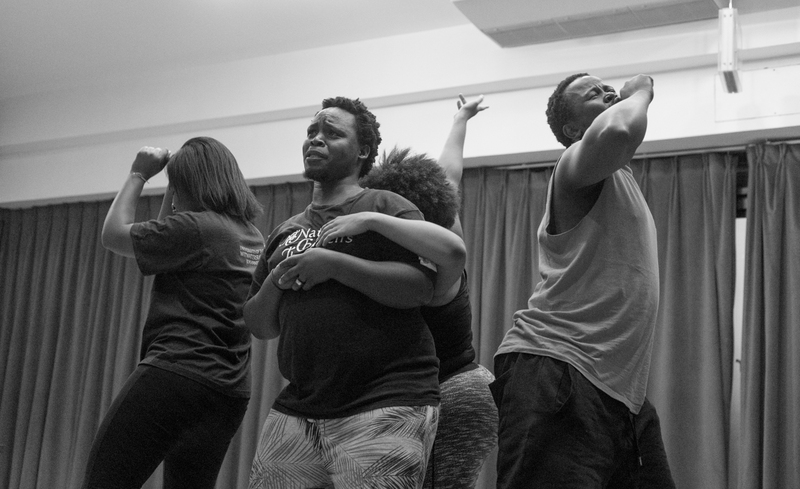 The workshops consist of a mix of applied drama methodologies including forum theatre, playback, and many others. The capacity of the workshop facilitators (Limpho Kou and Faith Busika) to be flexible in response to the situations that arise has been central to the project. We have noted during development the advantages of facilitators having some training in drama therapy: diabetes is fraught with pain and difficulty for both patients and clinicians and facilitators have needed to draw on all their skills and experience to ensure confidentiality, and the psychological safety of participants. Although our intention is ultimately to bring the groups together, for now we have maintained separation between groups of nurses, doctors, and patients with type 1 and 2 diabetes. This is partly a question of logistics, and partly due to the different needs of the groups; but it is also worth noting the significant tensions between these groups. Doctors, nurses and patients may all be aiming for the same goal, but the resource pressures of the South African state healthcare system, as well as the socio-economic circumstance of many of the patients, mean that their methods are severely compromised, and can come into unintentional conflict with one another. After test performances for feedback at CHBAH, the Blood Sugars play had its first public showing on 12th November, at the Villa of Hope children’s home in Eldorado Park (a suburb of Johannesburg), before travelling to the Hillbrow clinic and Hillbrow Theatre (Hillbrow is an extremely deprived area in inner-city Joburg), a Diabetes South Africa event for patients in Centurion, and various performance spaces across different faculties at Wits University. 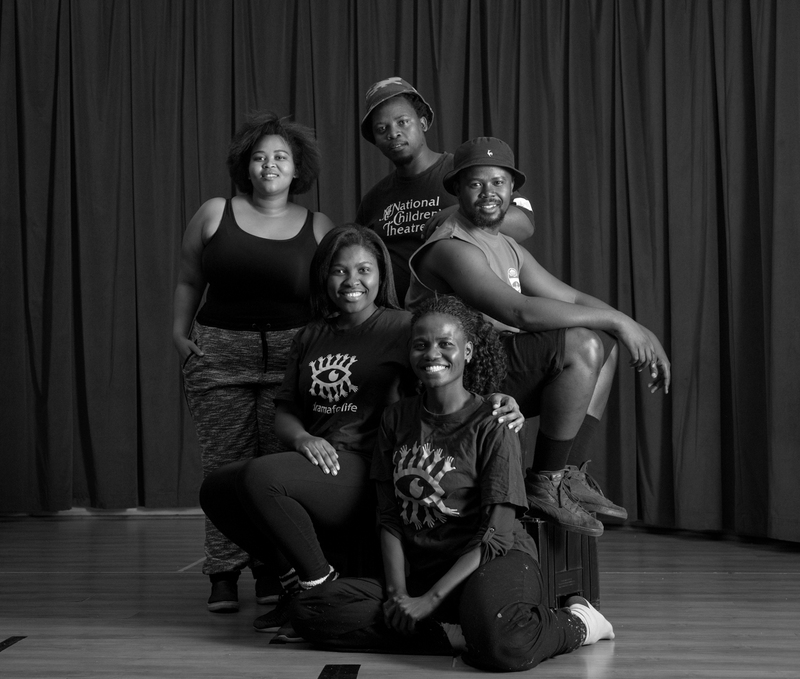 The Blood Sugars company consists of two directors (Faith Busika and Masiza Mbali) and four actors (Buhle Mazibuko, Lebohang Moroe, Zama Mbanjwa and Katlego Letsholonyana), who have co-devised the performance, based on R&D and workshops from the hospital, as well as the generous contributions of three key ‘storytellers’. We are delighted that the play will also feature as a keynote performance to close the forthcoming Culture, Health & Wellbeing international conference in Bristol, United Kingdom, in June 2017. The film – directed by Jessica Denyschen, and featuring the photography of Yeshiel Panchia – will be completed in early 2017 for dissemination via the web, as well as conferences such as that of SEMDSA (Society for Endocrinology, Metabolism and Diabetes of South Africa) and DESSA (Diabetes Education Society of South Africa). We have been invited to participate in a Royal Society for Public Health webinar focused on arts in health in Africa in April 2017. The period of R&D included qualitative research into people’s experience of the facilitators and barriers to care. Some of the striking findings of this research from a patient perspective have included poor levels of understanding of their condition; the critical role played by denial or acceptance of the condition and difficulties with sustaining diet: It’s expensive – the eating 6 times a day is not easy. From the clinicians’ point of view, the resource pressures are clear: We will often buy our patients medication privately, because the hospital doesn't have it. But perhaps the most striking finding has been in terms of methodology itself. The R&D undertaken jointly by Tshegofatso Seabi and Limpho Kou, revealed a good deal about the challenges of the condition using questionnaires and interview techniques derived from social sciences. But since the drama workshops have begun, we have been inundated with a flood of new (yet to be analysed) information. The active, participatory nature of the workshops, the sense of control given back to participants, and the peer support they foster has led to immeasurably richer data than that elicited from one-on-one interviews, and even traditional focus groups. We would contend that a huge amount could be brought to health and social science research through applied drama methodologies. Moreover, the skills of trained, experienced facilitators are inseparable from the volume and quality of information. Similarly, however, the social sciences provide frameworks for gathering and analysing this data that are of huge benefit to applied drama. It is the coming together of the two that has suggested huge promise for the future not just of this project but of further research. We look forward with great excitement to the performances this summer, and to sharing our experiences. Blood Sugars is led by principal investigator Professor Claire Penn, director of the Health Communication Research Unit, and co-applicant Warren Nebe, director of Drama for Life. It is managed by Victoria Hume, Tshegofatso Seabi and Limpho Kou.